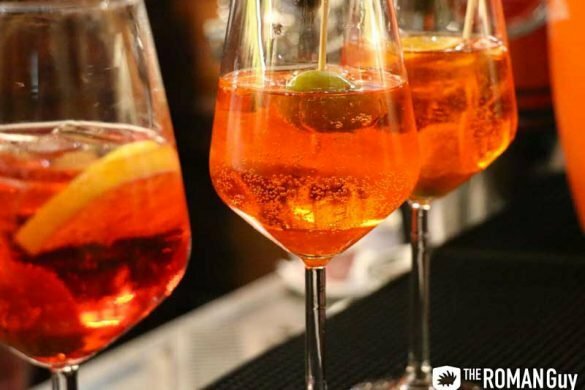 With so many things to do in Rome, sometimes it’s difficult to choose! 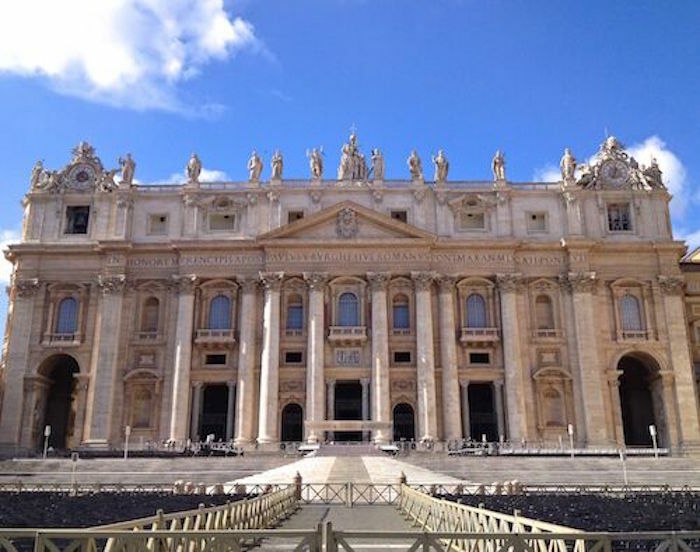 St Peter’s Basilica is one of the most beautiful churches in the world, and it’s definitely worth a visit! Besides the fact that it contains the beautiful La Pieta, Michelangelo’s famous marble sculpture, the entire church is home to a plethora of beautiful art, a feast for the eyes! 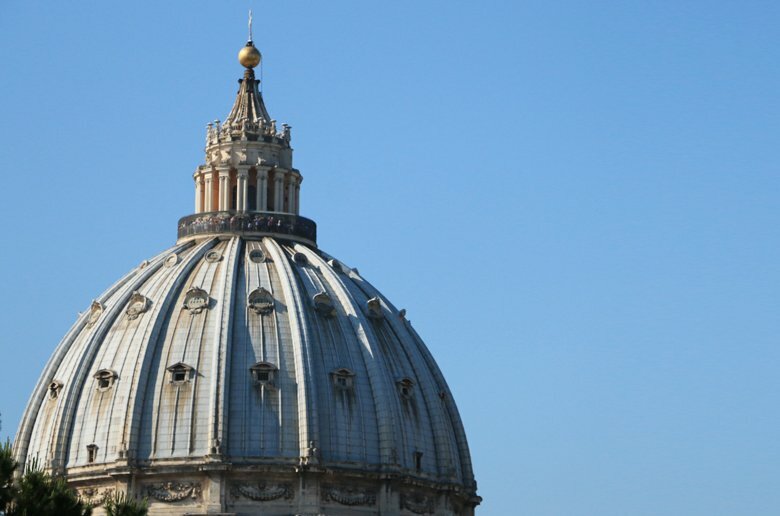 While you’re visiting the Basilica, did you know that you can also climb right to the top of the St Peter’s Dome too? 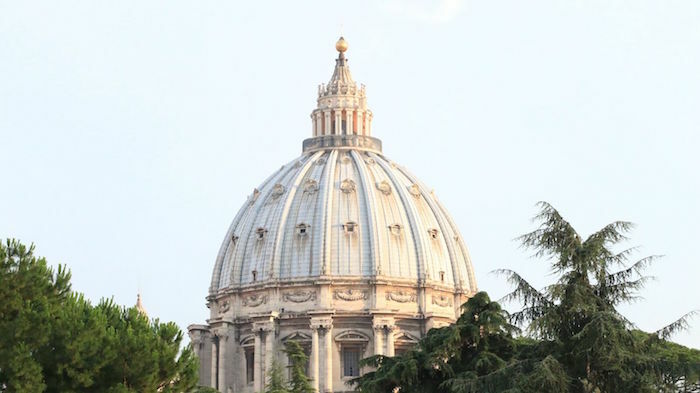 The St. Peter’s Dome is easy to find. Just head to the famous St. Peter’sBasilica and you’re there! Once you get to St Peter’s and have gone through the security gates, face the church. You will see there are a few entrances you can walk through. To the right, you will see an entrance with a green sign that says “Dome Entrance”. From there, follow the arrows to the ticket kiosk. *If you’ve just taken a Vatican Tour and ended at St Peter’s Basilica, this is the perfect activity to end off your Vatican experience. Especially because, if you’re on our tour, you’d of skipped the lines and security gates, and can simply head straight to the dome! St Peter’s Dome is open to visitors all day, but closing times do change slightly depending on the seasons. You can purchase your tickets to the dome at the ticket kiosk on the day. As mentioned above, the entrance is to the right of St Peter’s Basilica, and following the arrows, you will reach the little ticket kiosk. On Foot for €6: This is the cheaper option, where you climb 551 steps in total, to the top. If you enjoy some physical activity, go for this option. It is a great walk and gets exciting as you start nearing the top of the dome and the passages get narrower and narrower. There is also something rewarding about climbing all those stairs, and reaching the top for the ultimate view! With Elevator + A Few Steps for €8: This is slightly more expensive, as you get to swoop up the majority of the climb in a modern day capsule! If you are unable to walk a lot of stairs, or just don’t feel like the climb, opt for this option! You still walk a few stairs for the last part of the journey! Please note: The ticket office does not take cards, so be sure to bring cash with you! If you go all the way into St Peters and don’t have cash, you will need to leave St Peter’s to draw money, and re-enter through security all over again! Above all, bring your camera! The views are 360 degrees and incredible! A camera! This must be the most important, as the views from the top are amazing! Comfortable shoes: Especially if you’re skipping the elevator but in general, anyone visiting Rome should be wearing comfy shoes all the time as it’s a city for walking! Water: Bring a bottle, which you can fill again about halfway up. After climbing St. Peter’s Dome, you’ve probably worked up a big appetite! 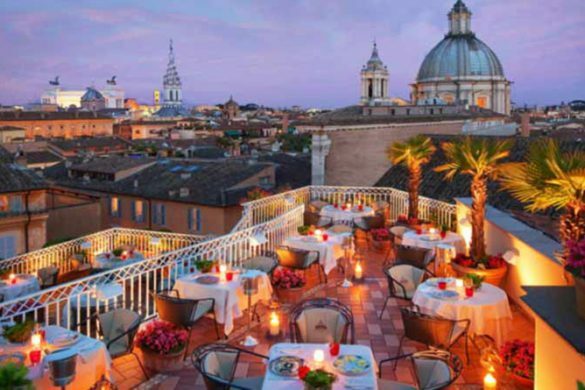 After your workout with a view, fuel up at one of our favorite restaurants nearby: Best Places to Eat near the Vatican. 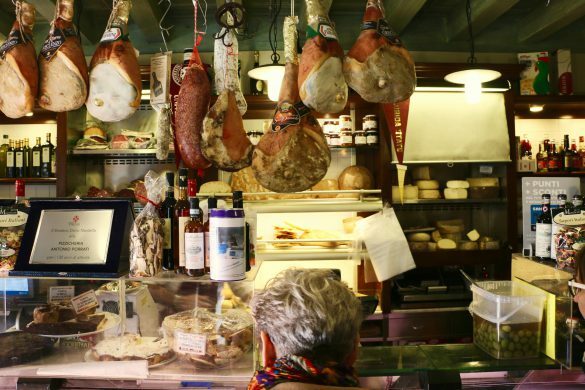 Sian is a foodie-traveler, forever exploring Rome and the rest of Italy. With food always top of mind, she's constantly on the hunt for cool spots to eat, with local food made just right. 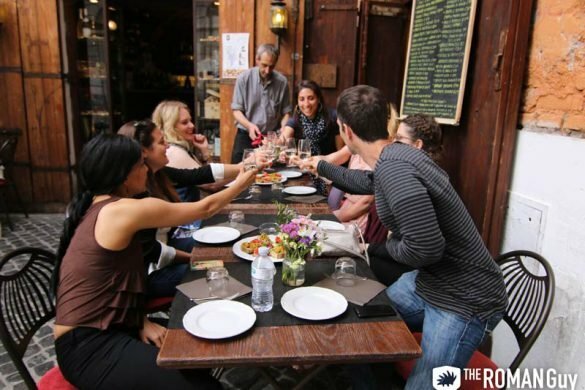 Italy makes traveling for food an endless adventure, with YUM around every corner, and she wants to find it! Excellent post. I was checking continuously this blog and I’m impressed! Very helpful info particularly the last part 🙂 I was looking for this particular information for a very long time. Thank you and best of luck. Aw, this was a really nice post. Spending some time and actual effort to produce a great article… thanks for sharing i need to see the Vatican! WRT the ending point made that if one is finishing a tour and can skip the lines and “…can simply head straight to the dome” – would another ticket still have to be purchased?